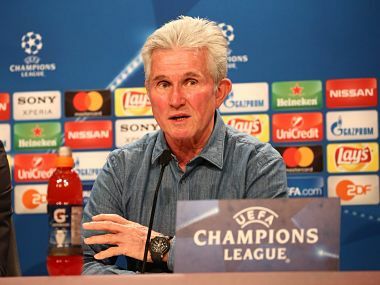 Berlin: Bayern Munich head coach Jupp Heynckes admits he has some tough decisions to make with his side at near full-strength for their Champions League last 16, first-leg, clash against Besiktas on Tuesday. For the first time in five years, Bayern have every outfield player fit and available for the match at the Allianz Arena. Heynckes, who steered the five-time champions to the 2013 title, turns 73 in May but says he still feels the "tension build" for a Champions League game. He has tough calls to make with goalkeeper Manuel Neuer the only absentee as he recovers from a fractured foot. "I have no A or B team - there is just one Bayern team," Heynckes said on Monday. "Every player knows their position and understands each other, so I don't think we have too many problems with rotation. "There are far more benefits because everyone feels important and stays fresh. "It's not easy, but I think the players are happy with how I have managed it so far." Heynckes made eight changes for the starting side which won 2-1 at Wolfsburg on Saturday and has to decide who sits out of the 18-man squad to face Besiktas. 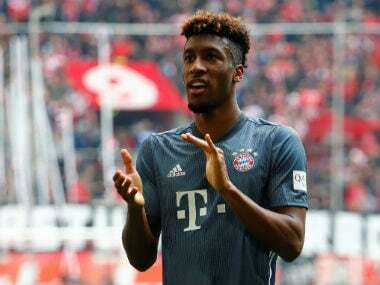 Thiago Alcantara made his comeback at Wolfsburg after three months sidelined by injury, while French winger Kingsley Coman has recovered from a cold. 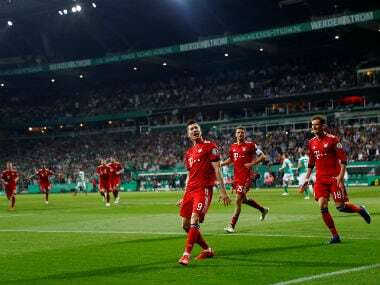 Thomas Mueller, Corentin Tolisso and James Rodriguez are all competing to play in behind striker Robert Lewandowski, while Coman, Arjen Robben and Franck Ribery are vying for berths on the wings. Besiktas are in the Champions League knock-out stage for the first time. The Turkish champions start a hectic period of six games in three weeks before the return leg against Bayern on 14 March, including two home matches against Fenerbahce. Besiktas head coach Senol Gunes said his team plan to take the game to Bayern and are comfortable being underdogs. 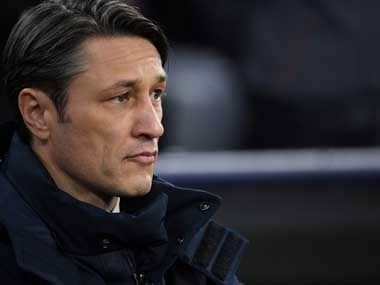 "Bayern could field two teams, they have a big squad with many top players," said the 65-year-old. "We expect Robben and Lewandowski to play, maybe Ribery too. But it doesn't matter who plays, we need to do our job and be careful. "We want to press high and make life difficult for them. "Wherever you play against Bayern, they will be the favourites and we'll enjoy the challenge." Bayern are on a 13-match winning streak and Heynckes expects a hard fight in Munich. "It's no surprise that Besiktas are here, they won all three of their away matches in the group stage," said Heynckes. "They won't hide, they like to play attacking football — if you let them. That's the key. "They will look for their chances, so we need to be prepared. "I hope my team puts in a top performance to lay the foundations for reaching the quarter-finals." Heynckes is playing down Bayern's chances of winning the Champions League title for the first time in five years. "All the top clubs want to win it," he said. "There are five very strong teams in England, especially those that strengthened massively last summer and in winter. "There are many favourites, not just the likes of Barcelona, Real Madrid and Paris."